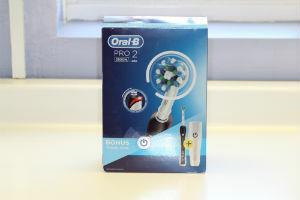 The Oral-B Pro 2 2500 review was last updated in March 2019. I hope you enjoy the article. Please note you can only buy it from the UK. The Oral-B Pro 2 2500 remains firmly as one of Amazons most popular electric toothbrushes and to be honest, I am not surprised in the slightest. I used to use this electric toothbrush daily until I upgraded to the Oral-B Genius 9000. For raw value for money, you cannot get much better than this electric toothbrush. It has all the basic features that you need to have on an electric toothbrush and it is delivered at a great price. 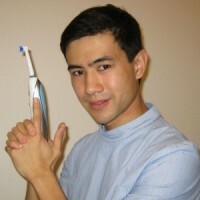 It features on my list for best electric toothbrush for gum disease and best electric toothbrush. 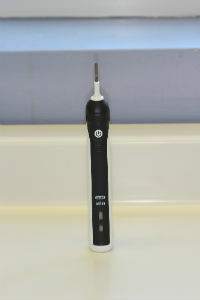 There are not many electric toothbrushes on the market better than this one. 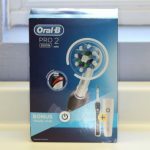 As a dentist who has been writing about electric toothbrushes for four years, I am able to give you an honest review on what the Oral-B Pro 2 2500 does well and what it lacks. Feel free to send me a comment at the end of the review. I read all the comments and reply to them personally. 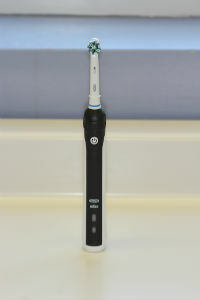 Product Description: The Oral-B Pro 2 2500 is an exceptional electric toothbrush for the price. It features the two most important things: Pressure sensor and 2 minute timer with quadpacer. This coupled with the cheap price makes it a great, budget electric toothbrush. The Oral-B Pro 2 2500 does the basics well. It has the two essential features that I always look for in an electric toothbrush, a two minute timer and visible pressure sensor. It also has a travel case as an added bonus. 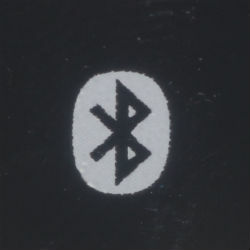 Some fancier features like Bluetooth connectivity and position detection are missing. As the Oral-B Pro 2 2500 is a cheaper electric toothbrush, you would expect it to come with fewer features. It is actually surprising how many features Oral-B have fit into this basic electric toothbrush. 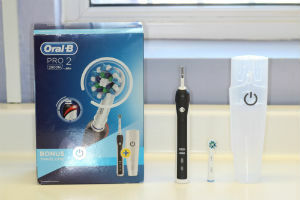 The Oral-B Pro 2 2500 looks like an expensive electric toothbrush and feels solid in the hand. It features a slimline body, which is easy to grip. Although if you do suffer from arthritis of the hand, it may be on the too thin side. The front of the handle is very simple. It has an on/off button that feels solid to press. If the on/off button is pressed multiple times then it also changes the cleaning mode. It only has two cleaning modes, daily clean and gum care. I always use it on daily clean mode because the gum care mode feels very weird and am not convinced it actually cleans very well. The front stripe of colour is rubberised, giving it a nice texture. The back part of the handle is not rubberised so it does feel a little slippery when wet. This is particularly so if you decide to use it in the shower. It is also waterproof. 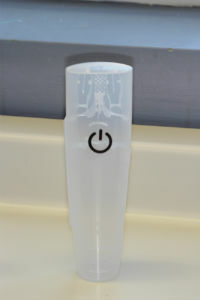 At the front of the electric toothbrush handle, close to its base there are two icons. One is the battery indicator light and the other is the charging icon. I will discuss this more in detail later. 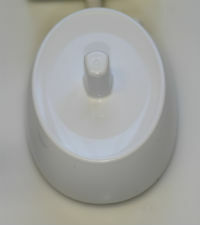 On the top of the handle is a metal prong that joins onto the Oral-B brush head. It is compatible with almost all the Oral-B brush heads and Oral-B have one of the most complete sets of brush heads in the business. The only difference between the Oral-B Pro 2 2500N and 2500W (other than the colour) is that the 2500N comes with the Crossaction brush head and the 2500W comes with the whitening brush head. Out of the two brush heads, I much prefer the CrossAction however if you prefer the pink colour, you can just get the Oral-B Pro 2 2500W and buy some CrossAction brush heads separately. Any good electric toothbrush that cares for your oral hygiene needs to have a two-minute timer. It is an essential feature because almost everyone doesn’t brush for long enough. 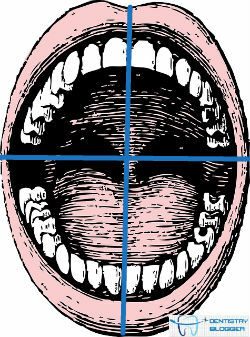 In fact, the average person typically brushes their teeth for only 45 seconds. This can lead to dental plaque festering on your teeth, ultimately leading to gum disease and tooth decay. The quadpacer is a handy on handle timer that buzzes every 30 seconds indicating when to change area of your mouth. Most people have a preferred side that they like to brush. This leads to an uneven clean with one side getting brushed really well and the other side being missed. The quadpacer timer buzzes are a constant reminder to brush your teeth more evenly. Pressing too hard with an electric toothbrush is fairly easy to do (I make this mistake frequently). If you press too firmly often, this can lead to a type of tooth wear known as toothbrush abrasion. This is where the bristles of the toothbrush start wearing away the enamel and dentine of the tooth, ultimately resulting in sensitivity. You are only meant to brush with the weight of an orange, which is around 150 grams. The Oral-B Pro 2 2500 prevents you from brushing too firmly by having a visible pressure sensor on the back of the electric toothbrush handle. When you press with too much force, it flashes red indicating that you should reduce the pressure. This will help protect you from unnecessary tooth wear. 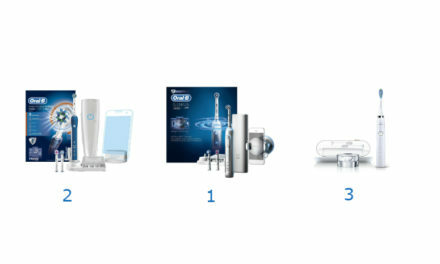 The Oral-B Pro 2 2500 does not come with Bluetooth connectivity and so cannot connect to the Oral-B Smartphone app. It is also missing the position detection which can tell you if you have missed an area whilst brushing. If you want either of these features, I would recommend checking out the Oral-B Genius 9000. The Oral-B Pro 2 2500 comes with a limited number of cleaning modes: daily clean and gum care. Although daily clean will be used the most, it is always nice to have a sensitive cleaning mode, which reduces the power of the oscillations for people with sensitive teeth. Another useful feature that it is missing is a tongue cleaning mode. 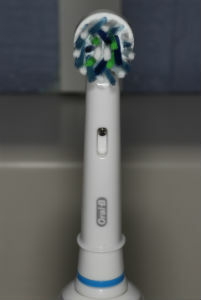 The Oral-B Pro 2 2500 Electric Toothbrush uses a 3D oscillating rotating motion to clean your teeth. This means that the bristles spin right and left and pulsates up and down. 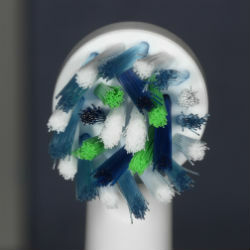 The spinning will help the bristles remove any dental plaque that it touches. The pulsating up and down allows the Oral-B electric toothbrush to clean dental plaque that the bristles have not touched, through a phenomenon known as non-contact brushing. This is where the fluid dynamics are strong enough to remove bacteria. 3D oscillating rotating is a very effective way of cleaning your teeth and has consistently outperformed the Sonic and manual toothbrushing in research studies done by Cochrane. The CrossAction brush comes as standard with the Oral-B Pro 2 2500N. As the brush head size is quite small, it means that it easily accesses the most difficult of molar teeth. This in my view is the best brush head Oral-B make. This is because it has special bristles that are angled at 16 degrees, which allow it to clean close to the gum line. The Oral-B Pro 2 2500W comes with the whitening brush head, which I am not keen on. 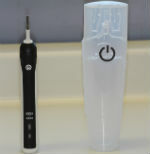 The whitening brush head has a rubber cup in the middle of it, which looks similar to a hygienist polishing bur. I think this is too aggressive to use on a daily basis. If you do end up getting the Oral-B Pro 2 2500W, I would recommend purchasing some CrossAction brush heads separately. The Oral-B Pro 2 2500 Electric Toothbrush comes with the new upgraded lithium-ion rechargeable battery. The battery will last for around 56 minutes which is 2 weeks of cleaning twice a day for 2 minutes for 1 person. This is a massive improvement over the old model. The lithium-ion battery not only holds more charge but it also charges quicker. From completely flat to fully charged it takes around 5-6 hours which means that it charges within one night sleep. The battery indicator light is not good, especially when compared to the more expensive Oral-B models. It does not give adequate warning before the battery runs out. When the battery indicator light eventually flashes red, the Oral-B Pro 2 2500 is completely out of battery. This means moving to a manual brush to complete your toothbrushing and waiting 5-6 hours for it to charge. A basic charger is included in the box so you will not need to purchase one. The charger is the most basic that Oral-B produces and does not give you any slots for you to store additional brush heads. If you have a shaving plug in your bathroom, then you will need no additional equipment to get the charger to work. If you don’t, you will need a 2 pin to 3 pin adapter. You can buy these on Amazon for relatively cheap. The Oral-B Pro 2 2500 Electric Toothbrush comes with a travel case where you can store the electric toothbrush handle and two electric toothbrush heads. It is a pretty simple construction however it has some neat design features. The travel case has some ventilation vents at the top of the travel case that help dry the contents if they are moist. The button to open the travel case is a simple push button but does feel quite flimsy. I could definitely see this breaking after prolonged use. The electric toothbrush handle and brush heads, simply click into position and are held nice and firmly by the carefully moulded plastic.The travel case will definitely provide solid protection for the electric toothbrush on your travels. It weighs in at 130g with toothbrush head so it is quite light and definitely will not take up too much of your luggage space. The size including brush head is 23 cm x 2.5cm x 3cm. 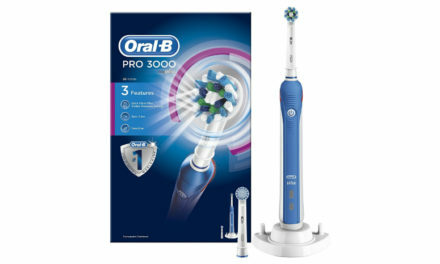 At £36.75 , the Oral-B Pro 2 2500 Electric Toothbrush is in the mid range of the Oral B electric toothbrush line up. It represents fantastic value for money especially considering the features you get. In fact I consider this the best value for money electric toothbrush on the market. I frequently recommend this electric toothbrush to my patients who are on a tight budget. It has all the essential features without being overpriced. The cost of Oral-B replacement heads is also reasonable and easy to purchase from Amazon or any local supermarket. I would always recommend getting the genuine Oral-B brush heads and not getting the cheap fake rip-offs. It is a false economy as it could damage the electric toothbrush handle and not clean your teeth as well. It comes with a 2-year warranty as standard which can be extended to 3 years if you register online. This means that you will get a minimum of 3 years use out of it. My Oral-B electric toothbrush is 4 years old and is still going strong. I would recommend checking out my post on the best electric toothbrush. Is the it suitable for children? It has not been specially designed for children in mind. If you want an electric toothbrush for your child, I would recommend checking out our list of recommended children’s electric toothbrushes. What does the N stand for on Oral-B Pro 2 2500N? The N at the end stands for Normal as it comes with the “standard” CrossAction Brush head. 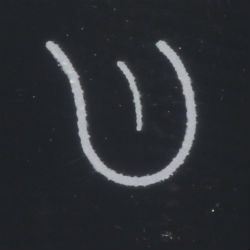 There is also a W variety which is Whitening and S which is Sensitive. The letter just represents the Brush Head that it comes with, the electric toothbrush handles are exactly the same. 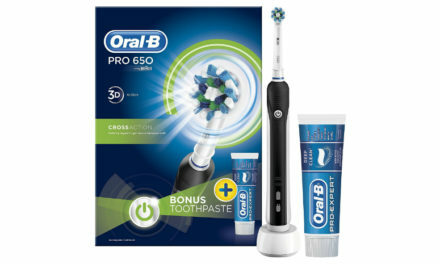 Should I go for the Oral-B Pro 2 2500 or Oral-B Pro 650 electric toothbrush? The Oral-B Pro 650 comes in at a lower price point and thus sacrifices some of the features of the Oral-B Pro 2 2500. The main one for me is the pressure sensor. Pressing too hard with a toothbrush can lead to gum recession and tooth wear. 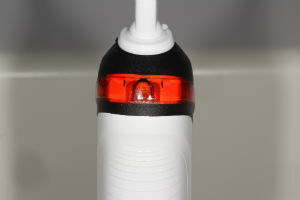 The Oral-B Pro 2 2500 has a pressure sensor that flashes red when you are pressing too hard. This will mean that you will use the brush at just the right pressure. There is no difference in speed/power of the Oral-B Pro 2 2500 and Oral-B Pro 650. Is the Oral-B Pro 2 2500 waterproof? Yes the it is completely waterproof and can be used in the shower. Is the Oral-B Pro 2 2500 noisy? It is not overly noisy. I would say it is about average in noise level for an electric toothbrush. Should I go for the Oral-B Pro 2 2500 or Oral-B Pro 2 2000 electric toothbrush? 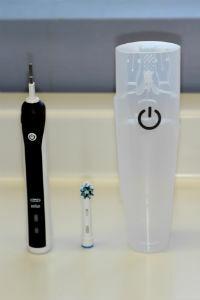 The main differences between the Oral-B Pro 2 2000 and Oral-B Pro 2 2500 are the price, the colour and the travel case. 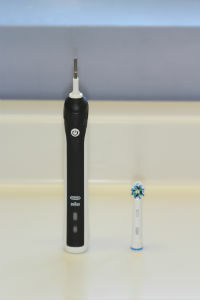 The Oral-B Pro 2 2500 is slightly more expensive around £5 more, it comes in black or pink and has a travel case. The travel case I find extremely useful when going away on holiday. 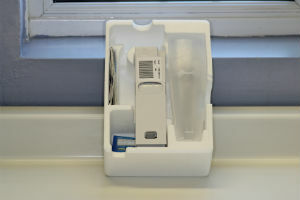 It is really common for people not to bring electric toothbrushes on holiday because they do not know how to store it. The travel case gets rid of this problem and that is why I recommend the Oral-B Pro 2 2500. I did a detailed review of this comparison here. After charging the Oral-B Pro 2 2500 battery to full, how many brushes will I get? You will get 56 minutes of cleaning which is two weeks worth of brushing twice a day for 2 minutes. The battery life is much better because of the lithium ion battery. Should I leave the Oral-B Pro 2 2500 charging after every use? This will likely shorten the battery length and is not recommended. 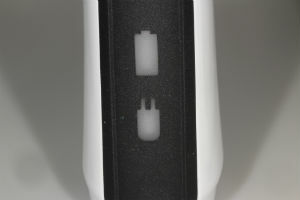 To get the best lifespan out of the Oral-B Pro 2 2500 I would recommend charging the battery to full then taking it off the charger. Does the battery die quickly? Is there any difference between the Oral-B Pro 2 2500 Black and the Oral-B Pro 2 2500 Pink? The only difference between these electric toothbrushes are the colour and the brush head. The Black edition comes with a cross action brush head (recommended). The Pink edition comes with the 3D whitening brush head (Not as good). They are otherwise exactly the same. What type of plug does the Oral-B Pro 2 2500 need? It needs a standard 2 pin UK shaver plug. 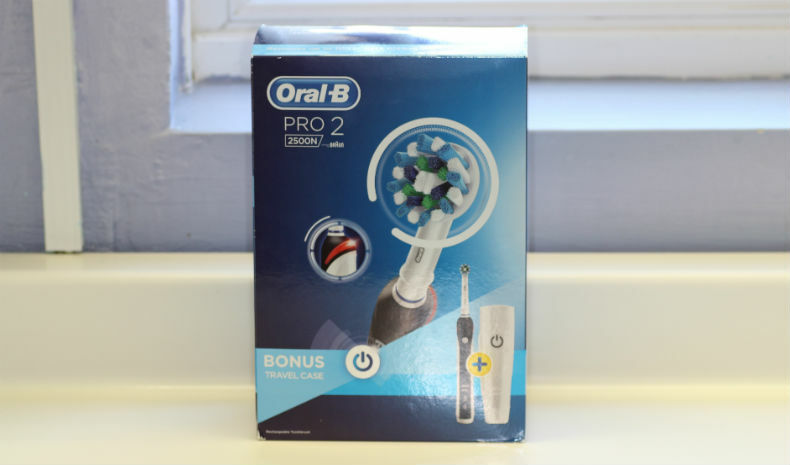 The Oral-B Pro 2 2500 is overall a very good electric toothbrush which provides amazing value for money. If you are looking for a simple yet effective electric toothbrush, this is the electric toothbrush for you. Do not expect this toothbrush to do anything too fancy. 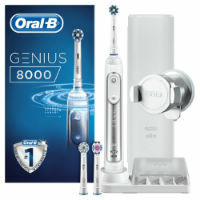 If you want the latest in Oral-B technology then I would recommend looking at the Oral-B Genius 9000. It is a fair bit more expensive though! Thank you for reading my Oral-B Pro 2 2500 review. If you have any questions or just fancy writing me a message, please feel free to use the comments section below. I read all the comments and try to respond to them all. Summary An exceptional electric toothbrush for the price. Features the two most important things: Pressure sensor and 2 minute timer. This coupled with the cheap price makes it a great electric toothbrush. I’m doing extensive research to look into the best electric toothbrush to buy, especially because it’s my first one, and your blog has been massively useful for it. Thanks for all your help and in-depth reviews! Your most welcome glad I could help! The oral B pro 1000 vs pro 2500 … which is the better ? I am not sure about the prices in South Africa. I would say that the Oral-B Pro 2500 has a visible pressure sensor whereas the Oral-B Pro 1000 does not, so I would lean towards to the Oral-B Pro 2500.